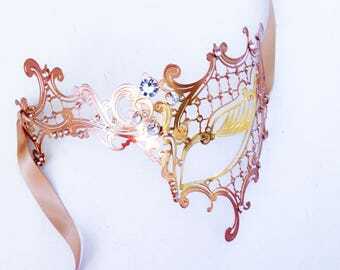 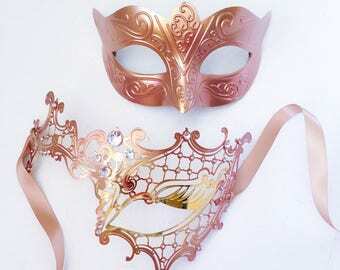 Elegant Masquerade Mask in Rose Gold and Gold highlights and adorned with crystals. 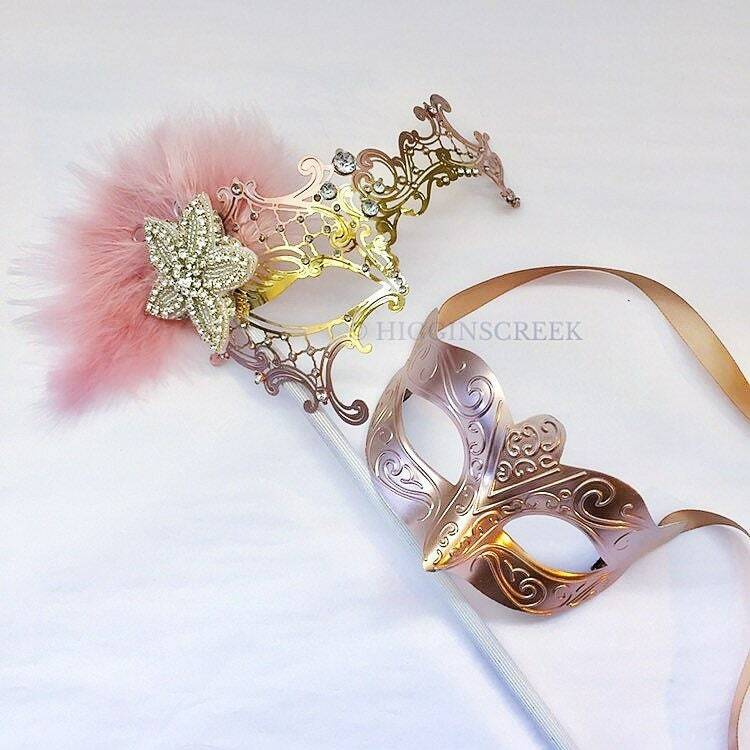 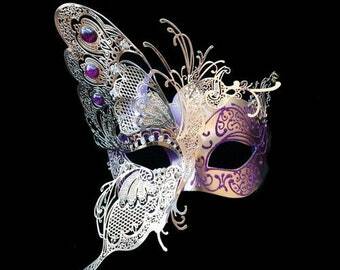 Women’s mask comes with luxury rhinestone trim embellishing and feather detail. 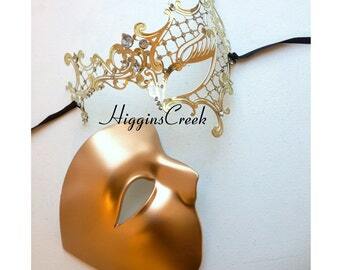 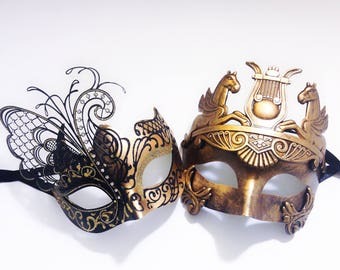 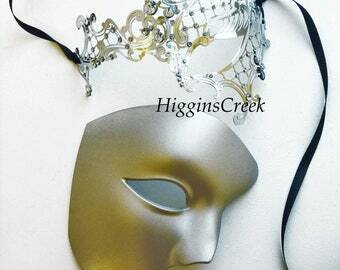 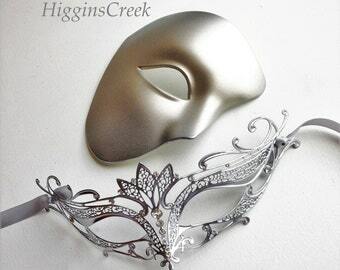 Available for purchase as a couple's set (one womens mask and one mens mask). 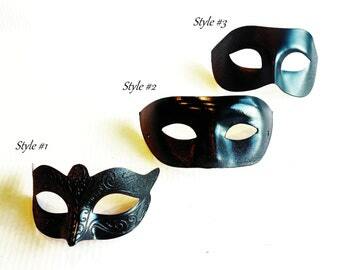 You also have the option to pick which eye you want covered for the womens mask. 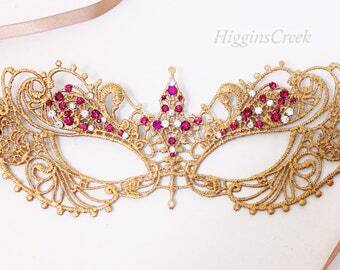 Fuchsia Pink Jeweled Masquerade Mask for Women, Masks for Masquerade Ball, Venetian Lace Mask MORE COLORS!